Having a mobile website is essential these days. It allows visitors to quickly and easily find information about your business. Research estimates that by 2020, more people will use mobile devices to search the web rather than traditional devices such as laptops and desktop computers. In fact, Google reported an increase of 400% in mobile searches since 2010. The question is, are you ready for this change? Omatix is a full-service interactive and marketing agency in Manhattan Beach that creates award winning design and development solutions. All of our websites are custom built and designed to our clients needs. We invite you to check out our design gallery to see some of our best work. Google launched an algorithm change in an attempt to remove "poor-quality" websites from its search engine. Websites with poor content and linking strategies have been negatively affected. Unfortunately, even legitimate websites were hit. The question is, has Google's update affected you? Contact our team of SEO experts for a website evaluation. 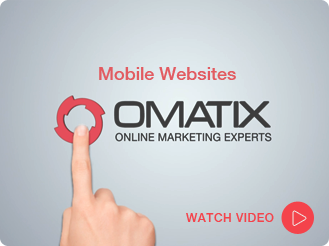 We had our business virtually transformed since OMATiX took over our website. Our search rankings are better than ever! Patients love our website and we couldn't be happier with the results. Prior to working with OMATiX, my online presence was non-existent. Since then, the number of patient referrals have nearly doubled, if not tripled. I can honestly say this has been the best marketing decision I’ve made in years. What I enjoy most about OMATiX is how extremely responsive and accessible they are. When I need to update the site, I simply shoot them an email and 99.9% of the time it is done on that day. When I need marketing advice, they are just a phone call away. I am very pleased with their services and have recommended them to several of my colleagues. I’ve been with OMATiX since the beginning. They have been honest, reliable, and fair in my dealings with them. When changes are asked for, it is done in a timely manner. When questions arise about SEO, optimizing my site for mobile devices or other website related questions, they have the answers. OMATiX has earned my trust, respect, and gratitude and in my book, they’re a keeper! I am a very happy and satisfied client. Our search rankings are better than ever! We had our practice virtually transformed since OMATiX took over our website. Our search rankings are better than ever! 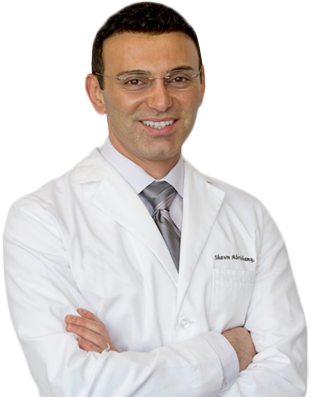 They took the time to understand the personality of my practice and create a web presence that mirrors it. Patients love our website and we couldn’t be happier with the results. OMATiX is professional, hardworking, knowledgeable and most importantly they produce results. Our experience with them has been extremely gratifying. Within weeks we started to see more leads come through our website than ever before. As a result, we had them build another website for the cosmetic side of our practice, which is also performing well. I would (and do) recommend OMATiX, without any reservations. From the first time I spoke with Ken of Omatix, I felt he completely understood my vision for my company. When building a website it is important that the web designer is fully onboard with the direction for your company and from there a website can be designed that fully encompasses that. He listened intently over the phone to my expectations for my website and he delivered what I wanted and on schedule. Delivering the site was important to me and as it got closer I was not sure that it would be possible, however Ken and his team were determined to have my site up and running by the proposed deadline. Ken and his team are ever willing to provide for their clients and do not nickel and dime for every service provided. Omatix is a company that is very interested in building long-term relationships with their clients. They listen, provide recommendations where necessary and deliver whilst providing courteous and exceptional customer service. Thanks so much Omatix! Our website looks really great!!! I couldn’t be happier! I have had 4 websites developed over the past decade, and never published them as I didn’t think they represented our office, nor did I want them to. I am very proud to put our website out there!!! Thank you so much 🙂 I almost lost faith is website developers. In a highly competitive market, we understand the need to "stand out." None of our websites are template-based and are uniquely designed to your needs. With over 10 years of experience in the industry, we simply know what works and what doesn't. We design websites that incorporate the look and feel necessary to provide an accurate reflection of your business and an excellent first impression. Our mobile websites create a user-friendly experience that complements your current website to ensure your visitors are one touch away from contacting you. Search engines are constantly evolving and so should your SEO approach. We stay abreast to changes in search engine algorithms so that you achieve and maintain top placement.